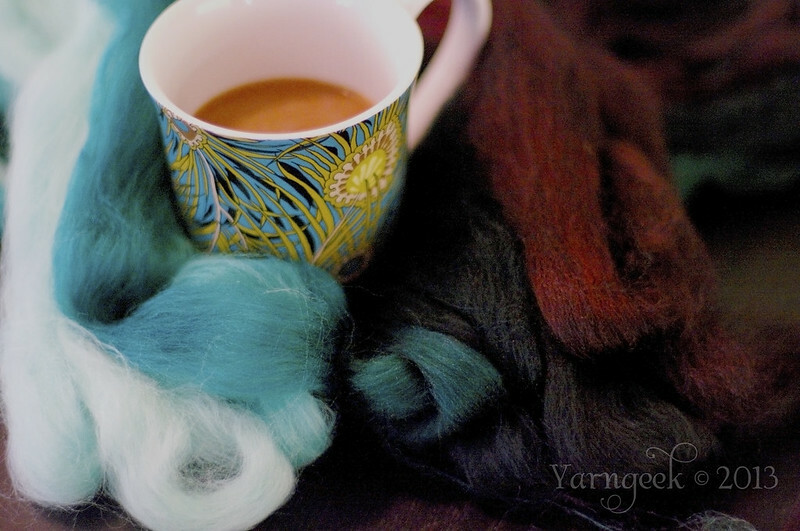 Way back 2 Sheeps and Wools ago, I managed to get my grubby little hands on a braid of FiberOptic’s gorgeous Chocolate-to-Aqua gradient roving. I’d never heard of Kimber’s company or seen her work, but there was no way I could walk past her booth and not see the incredible gradient wools and shawls knit of yarn from same, without trying to get at least one for myself. That was ages ago, but this week I finally began pre-drafting and spinning, on a rainy Sunday afternoon, coffee at my side. 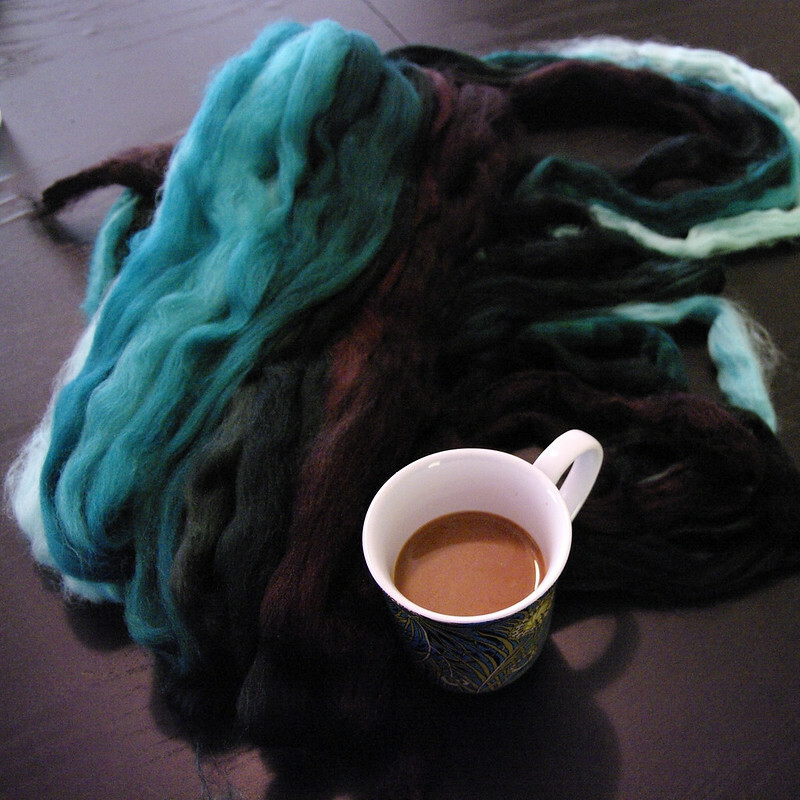 Realized belatedly that the fiber was pretty much a perfect match for my Liberty of London peacock coffee mug. What are y’all working on this Fourth of July/Canada Day week?